This family-run hotel, framed by stunning mountains and picturesque countryside, is the perfect base for excursions into the nearby ski resort of Sölden. All guest rooms are decorated with high-quality wooden furnishings and equipped with modern amenities. Enjoy a traditional meal at the restaurant or take advantage of the BBQ facilities. At the hotel bar you can bring the day to an end in a relaxed atmosphere. 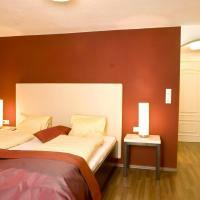 The owners of Hotel Edelweiss invite you to make use of the hotel sauna and solarium. In addition, staff is happy to make arrangements for even more exciting activities in and around Längenfeld, including wild water rafting and canoeing. Located at the heart of Tyrol’s Ötz Valley, the 4-star Hotel Rita offers the perfect setting for a relaxing and active vacation in a beautiful natural landscape. Relax in the spa oasis and enjoy the culinary highlights of the excellent cuisine. Make use of the adventure indoor pool and the generous sauna area with the outdoor sauna in the hotel garden, and let yourself be pampered with various facials and massages. Top Tirol Appartements are located in the heart of Tyrol’s Ötz Valley, only 5 minutes from the Aqua Dome spa and 10 minutes from the ski area in Sölden. This family-run apartment building features cozy vacation condos with 2 and 3 rooms, a spa area with an indoor pool, a children’s playroom, a playground, and many free parking spaces. A bakery, where you can have breakfast, is next door. 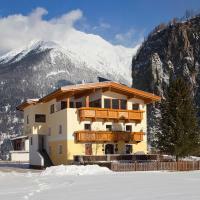 A bus stop, restaurants, stores, a ski rental, and a ski school are in the immediate vicinity of Top Tirol Appartements. Aparthotel Burgstein offers rooms and apartments with balcony and panoramic views over the Ötz Valley. The spa area at Aparthotel Burgstein has a sauna, a sun bed, a steam bath, an infrared cabin, and a large relaxation room with outdoor access. The à la carte restaurant Zum Seppelas serves traditional Tyrolean cuisine, and drinks can be enjoyed at the on-site bar. Half board is also available and includes breakfast, an afternoon snack and dinner. Aparthotel Burgstein is located at 1,500 metres above sea level, 2.5 km away from Längenfeld. In summer many hiking trails are available nearby. Shuttle services are provided on request and they are offered throughout the year, bringing guests to hiking and skiing areas. WiFi is provided on site at a surcharge. The Sölden Ski Area is 10 km away while the Aqua Dome Thermal centre in Längenfeld is a 5-minute drive from the property. Parking is available free of charge. The family-run Gasthof Schöpf in Gries close to Längenfeld enjoys a quiet location in the heart of the Ötztal. It features a spa area with a pool and cozy rooms with balconies. From all rooms you can enjoy panoramic views of the Tyrolean mountains. Tyroelan specialties and international cuisine are served in the restaurant. An afternoon cake buffet and a fondue evening once a week make the culinary offer complete. Spa facilities also include a sauna, a steam bath and an infrared cabin. For the little guests of the Gasthof Schöpf there a high chairs and baby monitors available. You can also take part in baby-friendly hiking tours. Panorama Appartements is located in Längenfeld, surrounded by the Ötztal Valley. It offers apartments with cable TV and a balcony or a terrace, as well as free private parking. The property features the Panorama wellness area with an indoor swimming pool, a steam bath, solarium and sauna. It is also near the Aqua Dome spa centre in Längenfeld. Panorama Appartements are within 100 metres from a supermarket, a bakery and various restaurants. In the summertime you can go hiking, and in winter the Sölden and Obergurgl-Hochgurgl ski regions are at your disposal. Surrounded by the Tyrolean Alps, Pension Tannenhof is located in Längenfeld in the Ötz Valley. All rooms have a balcony with mountain views, and there is a glass-covered sun terrace. Rooms at the Tannenhof feature satellite TV, a safe, and a hairdryer. The restaurant serves classic Tyrolean cuisine and a varied breakfast buffet. The free ski bus to Sölden stops 66 yards away. A cross-country ski run is nearby. Parking is available free of charge at Pension Tannenhof. Hotel Zum Hirschen occupies a historic building dating from 1590 in the centre of Längenfeld, 200 metres away from the Aqua Dome spa centre. Wi-Fi is available in the main building free of charge. Rooms at the Hotel Zum Hirschen offer satellite TV and a bathroom with bathrobes and a hairdryer. Most have a balcony. Hotel Zum Hirschen has a spa area with a sauna, a steam bath, and a solarium. It offers panoramic views of the Ötztal Alps. The restaurant serves Austrian and international cuisine. Half-board includes a rich breakfast buffet and à la carte dinner. Free private parking is available at Hotel Zum Hirschen. The Sölden ski area is 13 km away. Landhaus Falkner is set in a modern, completely wooden house in the heart of the Ötz Valley. It offers a breakfast buffet, free parking and spacious accommodations with mountain views. All traditionally furnished rooms of the Falkner provide balconies, completely refurbished bathrooms, satellite TV and special orthopaedic mattresses out of natural materials. In the immediate vicinity, there are many hiking and climbing tracks. The Sölden ski area is only 13 km away. The public spa Aqua Dome is only 450 metres away and features 50.000 m² of saunas, a gym, a medical centre and outdoor as well as indoor pools. Guests of the Falkner receive a 10 % allowance on the entrance fee. Haus Alpengruß & Seespitz is 5249 ft above sea level, in the small village of Gries in the Ötz Valley. It offers free parking and a buffet breakfast. All rooms and apartments provide a balcony, satellite TV and a shower. The spacious apartments also have a full kitchen and a dining area. Haus Alpengruß is surrounded by several mountains over 9842 ft high and provides many hiking tracks as well as mountain bike trails in the immediate vicinity. In winter, the Haus Alpengruß offers many activities; including night-time skiing and sledding in the Sölden ski area. The Aqua Dome spa center in Längenfeld is only 2.5 miles away. Appartement Aqua is in a quiet location near Längenfeld, in Tyrol’s Ötz Valley. It is 1100 ft² in size and features 3 bedrooms, a kitchen, and a balcony with mountain views. The spacious apartment features a fully equipped kitchen and a living room with a tiled stove and a sitting area, satellite TV, and a CD player. The bedrooms have a bathroom and a TV in each. Appartement Aqua features an infrared cabin and a ski boot dryer. Guests can play ping-pong and darts. The free ski bus to Sölden (20 minutes) and the Aquadome Spa Center (5 minutes) stops only 130 ft away. The Sölden ski area is 8 miles away, and the slopes of Obergurgl are 19 miles away. Free private parking is available at Appartement Aqua. Located in Huben in the Ötz Valley, Haus Kristall is only 9 km from Sölden and 3 km from Längenfeld and the Aqua Dome Spa Centre. Free parking is available. The rooms feature satellite TV and a private bathroom. Some have a balcony. Haus Kristall has a shared room where guests can use a refrigerator. The owner is an experience mountain guide and provides guests with useful information on hiking. A cross-country ski run and the stop of the free ski bus to Sölden are only a few steps away. The family-run Gästehaus Bruggerhof in Längenfeld in the Ötztal valley is a 5-minute walk from the stop of the ski bus. It offers rooms with balcony and free parking. The ski areas of Sölden and Obergurgl are easily reachable by ski bus from the nearby stop. Cross-country ski tracks are also close to the Gästehaus Brugger. A cozy lounge with a tiled stove invites you to relax. Skis and ski boots can be stored in a separate room featuring ski boot warmers. In summer children can have fun on the playground. Every morning you can start with a buffet breakfast. Within a 5-minute walk you can reach the center of Längenfeld with many restaurants. Grocery stores and clothing and sports equipment stores can also be found there. Appartement Rosengarten is in a quiet location at the edge of the forest in Längenfeld in the Ötz Valley. The Aqua Dome spa center is only a 5-minute walk away. The apartments offer a balcony, satellite TV, and a full kitchen. The Rosengarten features grounds with a sunbathing lawn and a recreation room with pool, ping-pong and exercise equipment. A ski bus stop, a cross-country ski run and a bike trail can be reached in a 5-minute walk from Appartement Rosengarten. In Längenfeld, this resort is surrounded by the picturesque Ötztal Alps. It offers self-catering apartments with satellite TV. Facilities at Apart Resort Relax include a sauna and ski storage. Accommodations feature fully equipped kitchens with dishwashers, microwaves and fridges. Guests can enjoy views of the Tyrolean mountains from their large and bright living rooms. Bed linens and towels are provided free of charge. Each morning, breakfast is served in the airy lounge. During summer months, outdoor dining can be enjoyed at the hotel’s furnished terrace with barbecue facilities. Guests at the Relax Apart Resort can benefit from 93 miles of hiking trails and 50 miles of mountain bike trails in the area. They can also enjoy various discounts at the nearby Aqua Dome as well as Fun and Adventure Park. Apart Resort is 23 miles from Kranebitten Airport. Free parking is available on site. 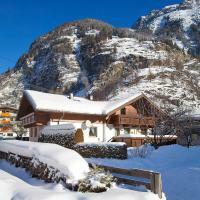 Situated amidst the Ötztal Alps, this guesthouse provides free ski shuttle to Soelden. Ski equipment hire and storage are also offered. Gästehaus Huben is 23 miles from Kranebitten Airport. This pet-friendly accommodations includes a balcony and satellite TV. Each room has a private bathroom with a shower and hairdryer. Guests at the Gästehaus Huben can enjoy a rich breakfast buffet each morning. There is a small bakery right across from the hotel and several restaurants can be found nearby. The guesthouse is minutes from the 16 miles of cross-country skiing trails. It is just 4 miles from the Aqua Dome. Alpenheim Lina offers modern apartments with a large south-facing balcony and panoramic mountain views in Huben in Tyrol’s Ötz Valley. The Sölden ski area is a 10-minute drive away. The apartments offer 2 separate bedrooms, satellite TV, a CD player, an anteroom with wardrobe, and a spacious kitchen with dining area. Bed linens and towels are provided. A bus stop with services to Sölden and Obergurgl is a 5-minute walk away. The Aqua Dome spa in Längenfeld can be reached in a 5-minute drive from Alpenheim Lina. 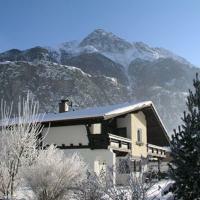 A cross-country ski run and many hiking and cycling trails are only steps from Alpenheim Lina. Set in the Ötztal ski area, this guesthouse offers comfortable apartments with balconies and fully equipped kitchenettes or kitchens. Free private parking is available. The Aqua Dome thermal bath is only half a mile away. Guests of Appartements Kuprian enjoy discounted access, as well as discounts on beauty treatments. The bright apartments offer panoramic views of the Ötztal Alps. They are traditionally furnished and offer satellite TV. The fully equipped kitchens and kitchenettes include kitchenware, a tea/ coffee maker and a dining area. In nice weather guests can relax on the sunny terrace or on the grounds. Appartements Kuprian offer a heated ski storage room. The Ötztal Valley cable car can be reached within a 15-minute drive. Skiing and snowboarding equipment can be rented at the cable car station. Kuprian Appartements are only 1970 ft from the center of Längenfeld. Sölden can be reached within 9 miles. Set in the Ötz Valley and within 4 km of the Aquadome Längenfeld, Apart Alessandro offers spacious apartments with a kitchen and a balcony. Ski storage is available on site. Guests will receive 10 % discount on the entrance fee of the Aquadome spa and pool facilities. Tickets can be purchased directly at the property. The apartments at Alessandro have a living room with a seating area facing the flat-screen cable TV. The kitchens come with ceramic tops, microwave/oven and all the necessary utensils. Breakfast and half-board are available on request in a nearby restaurant. Guests can enjoy the view of the surrounding Öztal Alps from the sun terrace. The Huben Funpark and the Huben Water Park can be reached within 650 metres. The free ski bus to the Sölden ski area stops 50 metres away. A grocery, a bakery and a sports shop are nearby. Free private parking is available on site at Apart Alessandro. Surrounded by a large garden, these apartments enjoy a quiet location at the edge of the forest in Längenfeld in the Ötz Valley. Each has a balcony or terrace. The spacious apartments at Appartement Klotz feature 3 bedrooms, a living room, a bathroom and a kitchen. 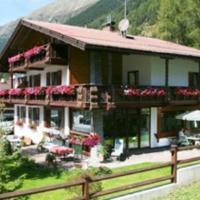 They offer panoramic views of the Ötztal Alps. A ski storage room and free private parking are available at Appartement Klotz. Cross-country ski runs and mountain bike trails lead right past the building. A toboggan run ends a 2-minute walk away, and the ski bus to Sölden stops close by. Set in the Ötztal Valley, Apart Andrea is situated in Längenfeld, on the sunny Burgstein plateau. The apartment has been renovated in 2009 and features a fully equipped kitchen. The modern apartment has a comfortable sitting area, satellite TV and a CD player. Kitchenware, a microwave and a dishwasher are at guests’ disposal. A children’s playground and free private parking at a location nearby are offered. Guests of Apart Andrea can reach Sölden ski area within a 15-minute drive or with a free shuttle bus. The Aqua Dome Spa is only a 10-minute drive away and offers many facilities for adults and children. During summer guests can explore hiking trails and bike paths in the immediate vicinity. Tennis, horseback riding and kayaking are also offered in the area. Haus Anna is located in the village of Huben in the Ötz Valley, 8 km from Sölden. The traditionally furnished apartments all have a kitchen, and satellite TV. Some have a balcony. Other restaurants, a supermarket, and a bakery are a short walk away, and a cross-country ski run is right outside. In summer, a fun park with water slides and a playground can be reached in a 2-minute walk. Free private parking is available at Haus Anna. The free ski bus stops a 3-minute walk away and takes guests to Sölden in 15 minutes. The Aqua Dome spa centre in Längenfeld is 4 km away. Surrounded by a large garden, the family-run Ferienheim Leopoldine is located in Huben, between Längenfeld and Sölden in the Ötz Valley. It offers rooms with a balcony and mountain views. The free ski bus to Sölden leaves right in front of the Leopoldine guest house. Featuring solid wooden furniture, the rooms and apartments at the Ferienheim Leopoldine all have a private bathroom with a hairdryer. Aqua Dome Therme Langenfeld with pools, saunas and steam baths is just 3 km away. Guests of the Ferienheim Leopoldine get a 10% discount on admission fees at the Aqua Dome. Gasthof Felsenhof is set in Huben, in the Ötztal Valley, 3 km away from Längenfeld. It offers a sauna, an infrared cabin and a relaxation room with balcony access. During summer season bicycles are available for free and the Ötztal Premium Card is included in all rates. Each room has a flat-screen satellite TV and a balcony. All rooms are comfortably furnished and have a private bathroom with bathrobes and a hairdryer. A bar and a restaurant are on site. Regional specialities are served in the rustic dining room. Special diet menus and packed lunches are organized on request. Free private parking is also available. Ski passes are available on site. Gasthof Felsenhof is 10.5 km away from Ötztal Cable Car in Sölden. The free ski bus stops 50 metres from the guest house. Aqua Dome thermal bath can be reached within 4 km. Located just 3.5 km from Längenfeld’s centre, Hotel Bergwelt offers a sun terrace with panoramic mountain views. The heated indoor pool features a counter-flow swimming system and hot tub. Rooms here have a private balcony and a seating area with a minibar and satellite TV. Bathrobes and slippers are provided in every room. Set around a stylish lounge room, the spa offers an infrared cabin, steam room and sauna. Candle-lit swimming evenings are organised every week at the pool area, where guests receive a free glass of prosecco. The spa has direct access to the garden, where sun loungers are provided in the summer. Themed buffet dinners are organised at the restaurant, which features elaborate carved-wood ceilings and traditional wooden furniture. The Sölden ski resort is 15 km away, or 20 minutes on the free ski bus, which stops opposite the hotel. The Bergwelt is 20 km from Ötztal Railway Station and Innsbruck Airport is 65 km away. These spacious apartments are located in the village of Huben in Tyrol’s Ötz Valley, just a 10-minute drive from Sölden. Each apartment has a balcony. Decorated with traditional wooden furnishings, Appartements Gufler features a kitchenette, a bathroom, and satellite TV in each apartment. 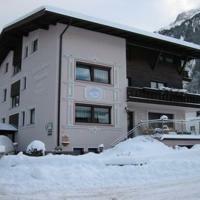 A ski school, a ski rental, restaurants, and a bakery are only a few steps away from the Gufler Appartements. Free private parking is available on site. Guests receive discounts on admission to the Aqua Dome Spa Centre, a 5-minute drive away. The ski bus stops just a one-minute walk away. Only 4 km away from Sölden’s centre, these apartments have a private balcony. The Giggljochbahn ski lift is 4 km away and the free ski bus stops at the door. Fully equipped kitchens with a dishwasher and microwave are standard at Appartement Klotz. The living rooms are spacious and include a dining area. Guests can also use the barbecue facilities located in the garden. The property includes a large ski storage room. On check-in you will get the Ötztal Premium Card free of charge which gives discounts and free offers to many activities in the area. Längenfeld’s centre is only a 9-minute drive away from Klotz Appartement. The Aqua Dome thermal bath is only 7 km away. Just 1 km from the centre of Längenfeld in the Ötz Valley, Ferienhaus Steindl is 800 metres from the Aqua Dome spa centre. Free WiFi is available. Overlooking the mountains, the Steindl’s spacious rooms and apartments feature wooden furniture and floors, satellite TV, and safe. Barbecue facilities are in the garden. There is an on-site bar with the open fireplace. A ski storage room with a ski boot dryer is provided, and free private parking is available on site. Free coffee and tea is available for guests throughout the day in the dining room. Guests receive upon arrival one bottle of mineral water and one bottle of wine in the room. Restaurants and shops are in the centre. Sölden is 10 km away and can be reached with a free ski bus stopping a 5-minute walk away. Guests can use the Freizeit Arena Sölden (leisure centre with pool and spa areas) free of charge. Located in the mountain village of Gries in the Ötz Valley, Haus Bergkristall is 5 km from Längenfeld and the Aquadome Spa Centre. The rooms feature traditional wooden furniture, satellite TV, and a refrigerator. Almost all have a balcony. Guests receive a 10% discount at the Aquadome, and towels and bathrobes for this are provided free of charge. Ski storage facilities and free private parking are available at the Bergkristall. The ski bus stops a 1-minute walk away and takes guests to Sölden, 22 km from Gries. All rooms at Haus Gstrein have a balcony with panoramic views of the alpine surroundings. The guesthouse is situated on the outskirts of Huben, 3.5 km from the Aqua Dome spa. Free WiFi is available. Rooms have a private bathroom, hairdryer and cable TV with pay TV channels. Apartments come with a fully-equipped kitchenette which includes a microwave, refrigerator and tea and coffee maker. Buses provide regular transport every 10 minutes to 150 km of slopes in the Sölden Ski Resort, which is 10 km away. The bus stop is located a 4-minute walk from Haus Gstrein. Cross-country skiing trails can be found 40 meters away. The guesthouse features an infrared light cabin, ski storage facilities and bikes which can be borrowed for free. Guests receive a 10% discount on Aqua Dome spa’s entrance fee. 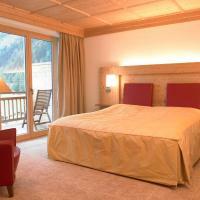 During summer, the Ötztal Premium Card is included in the room rate. Thus, you can use all cable cars, buses and public pools for free. Reductions apply for many other attractions. Located in Längenfeld in the Ötz Valley, a 5-minute walk from the ski bus stop, this guest house features a traditional Austrian-style exterior. It offers free Wi-Fi and free use of the sauna and steam bath. A flat-screen TV and balcony with scenic views of the surrounding Ötztal Alps are featured in each of the country-style rooms at the Gästehaus Renate. The Sölden Ski Area is just 15 km away. The Aqua Dome spa and health resort is 5 km from the Renate. A buffet breakfast is served each morning. In good weather, barbecue facilities can be enjoyed on the spacious terrace. Längenfeld’s Apart Alpen enjoys peaceful surroundings at the edge of a forest. The apartment has a balcony with views of the surrounding Alpine landscape, 2 bedrooms and a fully-equipped kitchen. A living room, satellite TV and bathroom are also featured. The property’s garden has a terrace and children’s playground. Ski storage facilities are also available on site. Cross-country ski trails start in front Apart Alpen. Längenfeld town centre and the Aqua Dome Thermal Spa Baths are just 3 km away. The Sölden Ski Region can be reached by car in just 10 minutes. Water slides, trampolines and a climbing center can be visited at the Ötztal Fun Park a 5-minute walk away. A children’s water park is the same distance away. Appartementhaus Raudaschl offers Tyrolean-style apartments in quiet surroundings, 1 km from Längenfeld. Guests are treated to excellent views of the surrounding Alpine landscape from the garden and balcony of the apartments. Free WiFi is available. In addition to the views of the Ötztal Valley, apartments all come with a fully-equipped kitchen, dining area and satellite TV. A seating area and private bathroom with a shower are also provided. Several restaurants, serving regional cuisine as well as Italian cuisine, are located in Längefeld. A grocery shop is also located in Längenfeld. Hiking and mountain biking are possible from the property. Cross-country skiing trails, with a length of 30 km, can be accessed directly on the doorstep. Guests can park their cars and store their ski equipment on site for free. The Sölden Ski Area is 15 km away and can be reached by car or the free ski bus which stops 200 metres from Raudaschl Appartementhaus. Aqua Dome Spa Area is also 1 km away. Just 800 metres from the Aquadome Thermal Spa in Längenfeld in the Ötz Valley, Appartementhaus Alpenblume offers spacious apartments with a balcony or terrace. Free covered parking is available on site. Furnished in a traditional Alpine style, the apartments include a kitchen or kitchenette, a living room with a flat-screen satellite TV, and a bathroom. 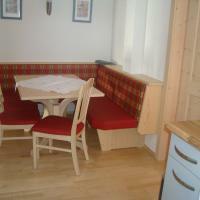 Guests of the Alpenblume Apartments can use a ski storage room. The garden includes a barbecue area and a children’s playground. The free ski bus to Sölden stops a 5-minute walk away. A cross-country ski run is 1 km away. In summer, the Ötztal Premium Card is included the rate. This card comprises many free benefits and discounts in the region. Located in the village of Astlehn in the Ötz Valley, Apart Luca is 2 km from the centre of Längenfeld and the Aquadome Thermal Spa. Discounted tickets for the Aquadome can be bought on site. Featuring bright wooden furniture and floors, the spacious apartments include a kitchen or kitchenette with a dining area, a seating area, a flat-screen satellite TV, and a bathroom with hairdryer. Guests of Luca Apart can use a bicycle garage and a ski storage room with a ski boot dryer. Free private parking is available on site. Hiking and mountain bike trails, as well as a cross-country ski run, are right outside. The Sölden Ski Area is 11 km away and can be reached within 20 minutes with a free ski bus leaving 250 metres away. Located 1600 metres above sea level next to a beginner's ski slope, the Ferienhaus Brigitte features a spa and fitness area. All apartments have a fully equipped kitchenette and a balcony offering views of the Ötztal Mountains. The ski bus to Sölden leaves 4 times per day and the centre of Längenfeld with numerous restaurants and shops is 7 km away. A heated storage room for ski equipment featuring a ski boot dryer is available in the Ferienhaus Brigitte. Apart from skiing you can enjoy tobogganing, cross-country skiing, snow-shoe hiking opposite from the Ferienhaus, and take part in biathlon competitions once a week. Every Wednesday, skiing on the floodlit slope with music and mulled wine is possible until 21:00. A wide range of mountain bike and hiking tracks can be found in the area during summer. You can also go swimming to the Aqua Dome in Längenfeld, or reserve the property's own sauna for private use. Located in the centre of Längenfeld, these spacious apartments have a balcony overlooking the Ötztal Alps. The Aqua Dome Thermal Spa is a 10-minute walk away and provides discounted tickets to guests of Landhaus Ennemoser. Decorated in a traditional Tyrolean style with wooden furnishings, the apartments feature a combined kitchen and living room with a dining area and satellite TV as well as a bathroom with hairdryer. On request, fresh bread rolls can be delivered every morning. Guests of the Ennemoser Landhaus can use a ski storage room with a ski boot dryer. Free private parking is available on site. Sölden is a 10-minute drive away, and the Area47 leisure centre is 24 km from the property. Haus Klaudia Gstrein is located in the Gries-Längenfeld Ski Region, 15 minutes to the nearest slopes with the free ski bus. Guests can buy ski passes and store ski equipment on site. All apartments offer panoramic mountain views from their balcony. 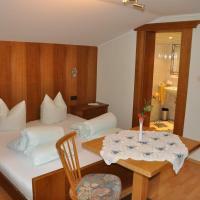 They are decorated in typical Tyrolean-style and have a fully-equipped kitchenette with a dining area. Cross-country skiing can be done directly from Haus Klaudia Gstrein. Freshly baked rolls are offered on request. Free private parking is available at the property, while Wi-Fi is subject to a surcharge. Shops, restaurants and a variety of amenities can be found in Längenfeld, which is a 5-minute drive away. The Aqua Dome is 2 minutes away by car. Hiking, mountain biking and snow-shoe hiking are popular activities in the area. 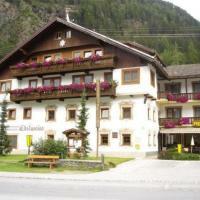 The Appartementhaus Honznhof enjoys a quiet location only a 5-minute walk from the ski bus stop to Sölden. All apartments have a balcony and a fully equipped kitchen with a dishwasher. Free private parking is available. A private bathroom, cable TV and a microwave oven are further features of each apartment. Wi-Fi internet access is available as well in the apartments and in the Alpine-style shared lounge room. The nearest supermarket, the nearest restaurant and the Auqa Dome Thermal Spa are 2.5 km away. The centre of Längenfeld can be reached by car in 5 minutes and the Sölden Ski Area in 15 to 20 minutes by car or ski bus. You can go cross-country skiing and tobogganing right next to the Honznhof. Located on the upper floor of a private home in Längenfeld, this spacious apartment offers a balcony with panoramic views over the Ötztal Alps. The Aqua Dome Thermal Spa is 2 km away. Decorated in a modern Alpine style, Appartement Elmer features 2 bedrooms, a living area with satellite TV, a kitchen with a dining area, and a bathroom. On request, fresh bread rolls can be delivered in the morning. Guests of the Elmer Appartement can relax on the sun terrace and use a ski storage room. Free private parking is available on site. Wi-Fi is available against a surcharge. Sölden is 13 km away and can be reached with a ski bus stopping a 5-minute walk away. From June to October, the Ötztal Premium Card is included in the rate. This card includes many free benefits and discounts, including free use of the local cable cars. 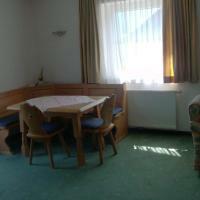 Apart Raffl enjoys a quiet but central location, just a 5-minute walk from Längenfeld. Wi-Fi is provided in the entire building and the Sölden Ski Area can be reached within a 15-minute drive. The apartment provides a kitchenette, a living room with a sofa bed and satellite TV. A balcony and a bathroom with a shower are featured in the unit. Fresh bread rolls are delivered on request. You can make use of Apart Raffl’s ski storage room and the ski boot dryer. The unit features views of the Gamskogel Mountain. A ski bus stops a 2-minute walk away and can be used free of charge. Ice skating is possible in the village centre. Cross-country skiing trails can be reached within 2 minutes on foot. The Hochötz Ski Region is a 20-minute drive away. Imst is 35 km from the apartment. The Aquadome Thermal Bath is a 5-minute walk away and you can park your car free of charge on site. In a quiet location at the forest’s edge, this family-run guesthouse is a 3-minute walk from the centre of Längenfeld. The Aqua Dome Thermal Spa is 350 metres away and offers a 10% discounts to guests. All rooms and apartments have a balcony and free Wi-Fi. Gästehaus Martha’s bright accommodation includes wooden furniture, satellite TV, and a bathroom with hairdryer. The apartments also have a kitchen. Towels and linen are provided in all the units free of charge. Guests can relax in an infrared cabin at an additional charge and on the sun terrace or in the garden, which has a sun bathing area. A ski storage room with a boot dryer and free parking are available at the Martha Gästehaus. The Sölden Ski Area is 12 km away and can be reached with a free ski bus which stops a 3-minute walk away. Tennis courts, a public outdoor pool, and a children’s playground are within a 5-minute walk. Hiking and mountain bike trails start right outside. Surrounded by the unspoiled nature of the Alps, Haus Raimund features apartments with a balcony and a fish pond with barbecue facilities. The free ski bus to Sölden Ski Resort stops 100 metres away. All accommodation units come with wooden furniture, a seating area and a flat-screen TV with satellite channels. The kitchen is equipped with kitchenware, a tea/coffee maker and a fridge. Sölden Ski Resort and Giggijoch Cable Car can be reached in 15 minutes by car or 20 minutes by a free ski bus. A ski storage room is provided at Haus Raimund. A cross-country skiing trail is 100 metres away, and a toboggan run is at a distance of 200 metres. Ski rental services and ski lessons are available 3 km from the guest house. An outdoor tennis court, ice skating facilities and the Aqua Dome Aquapark can also be found 3 km from Raimund Haus. The centre of Umhausen with shops and restaurants is 6 km away. Appartementhaus Christophorus is a 5-minute walk from the centre of Längenfeld and the Aqua Dome Thermal Spa, which offers reduced entry to guests. The spacious apartments all overlook the Ötztal Alps. A pizzeria is located in the same building. Furnished in a bright and modern Alpine style, the apartments all feature a kitchen with a dining area, cable TV, and a bathroom with hairdryer. Most have a balcony. Breakfast is available on request, and fresh bread rolls can be delivered every morning on request. A supermarket is just across the street. Guests of the Christophorus can play table tennis and billiards, and use a ski storage room. The garden includes a children’s playground, and free private parking is available on site. A cross-country ski run is just outside. The Sölden Ski Area is 13 km away and can be reached with a free ski bus stopping just outside.